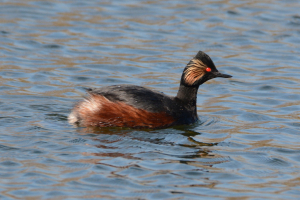 Observation - Black-necked Grebe - UK and Ireland. Description: A bird I have not knowingly seen before and just superb they were too. The distance from the camera was the only spoiler. A bird I have not knowingly seen before and just superb they were too. The distance from the camera was the only spoiler.